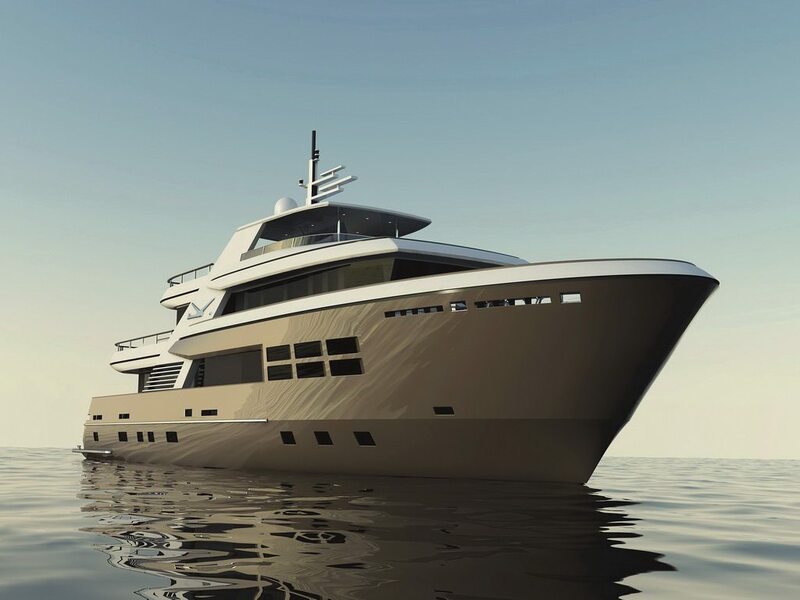 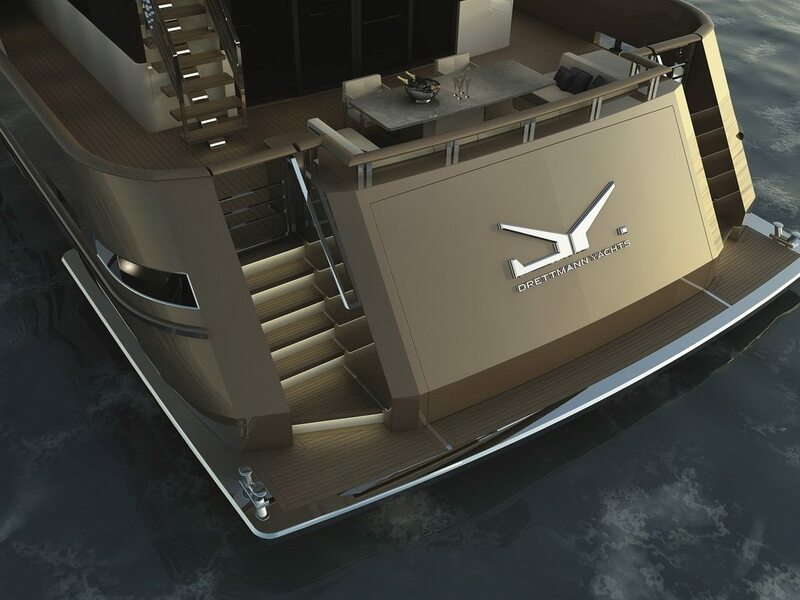 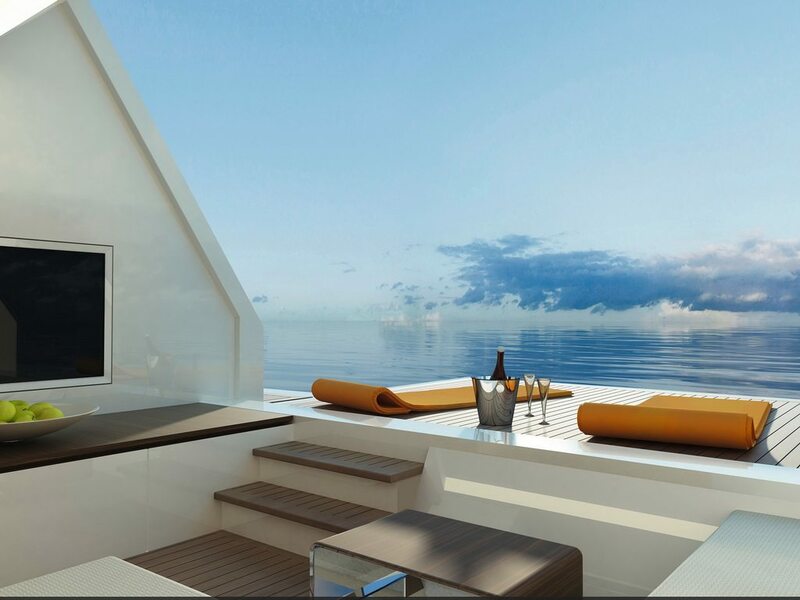 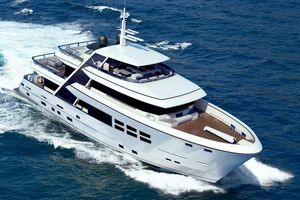 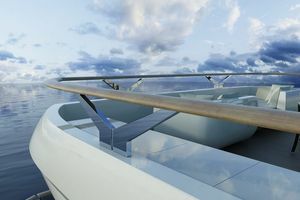 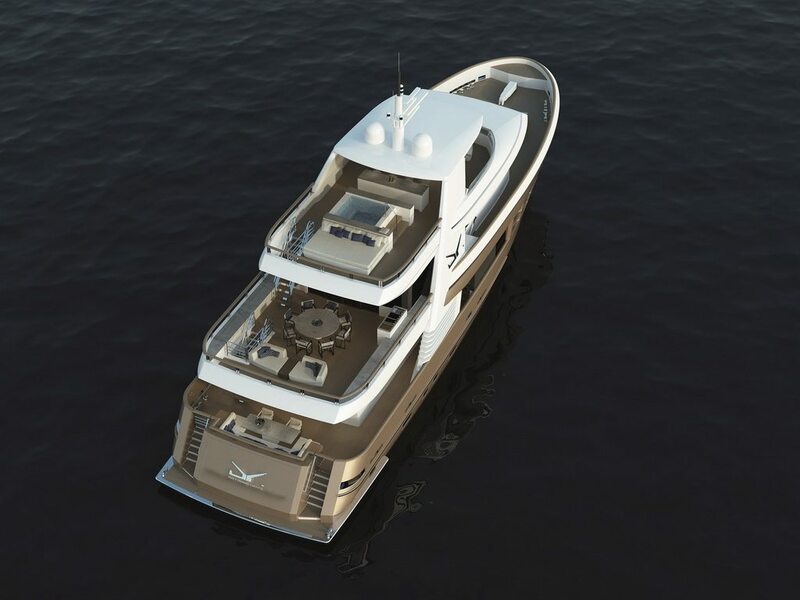 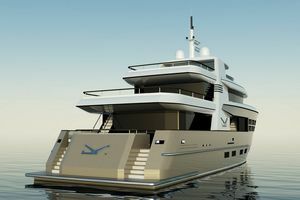 The Bandido 100 is an extremely voluminous 2-deck explorer yacht of the Bandido-Yachts series made by Drettmann. 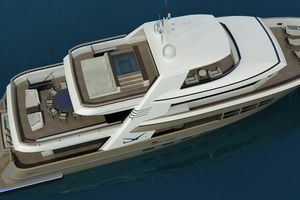 And also has a diesel-electric POD drive as well. 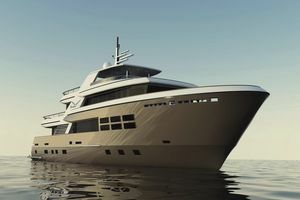 The steel hull and the aluminium superstructure are made exclusively according to customer requirements and after completion weighs almost 300 tons. 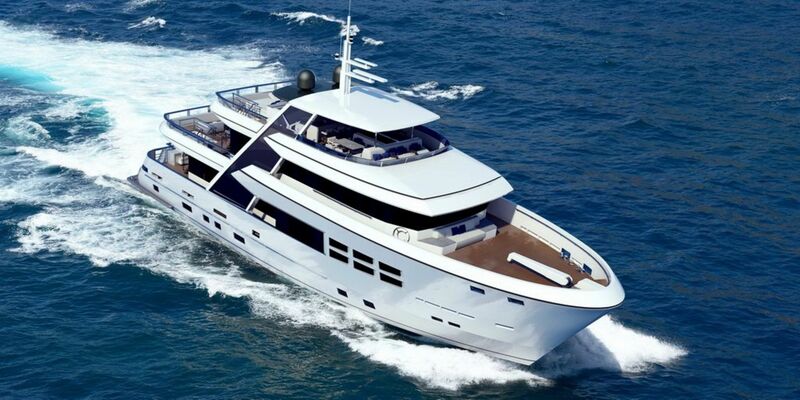 Of course, he has excellent sea conditions and high safety reserves, which allows a limitless driving range. 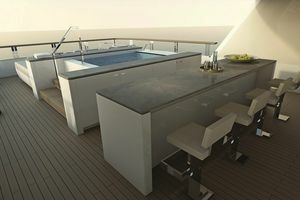 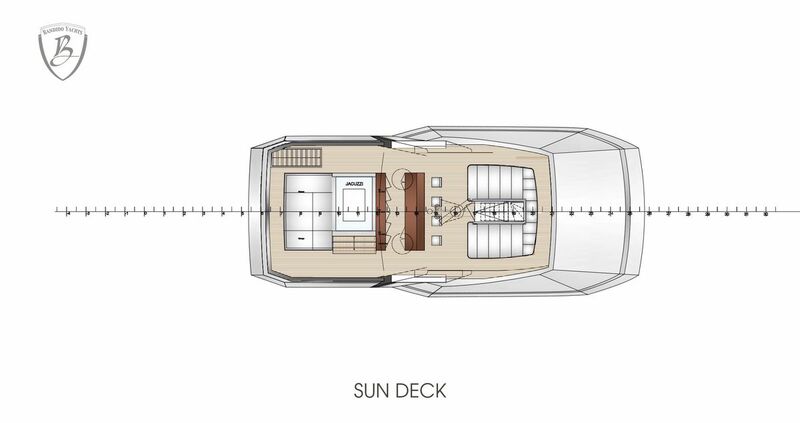 From the spacious aft deck you will reach the foredeck. 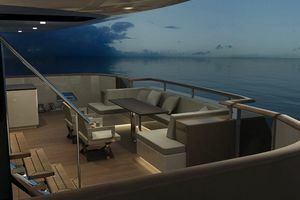 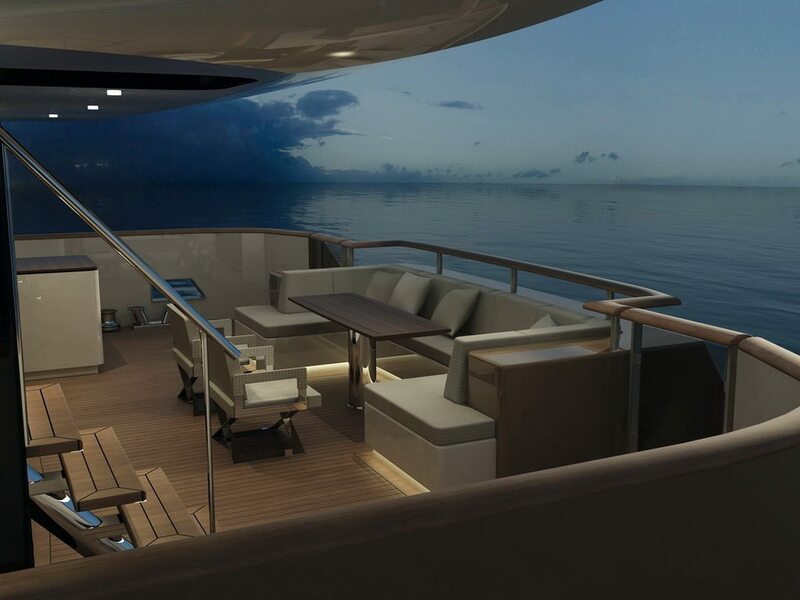 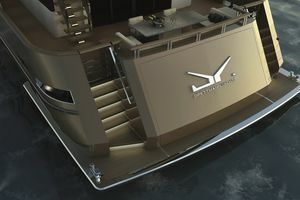 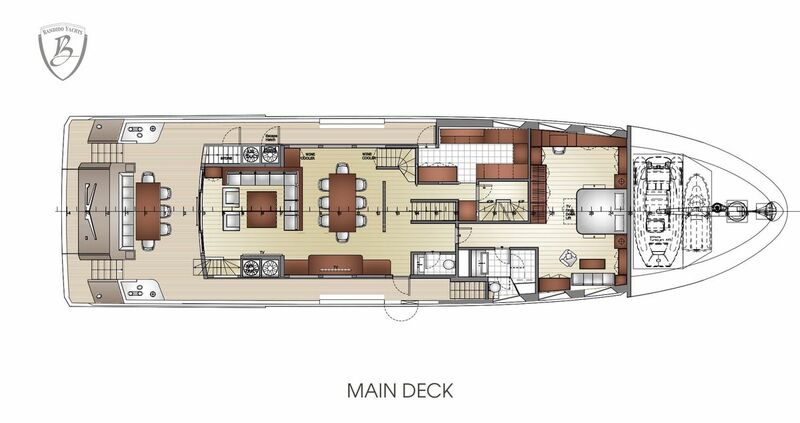 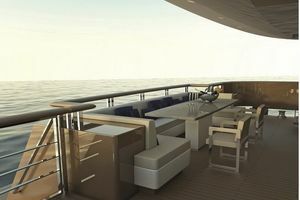 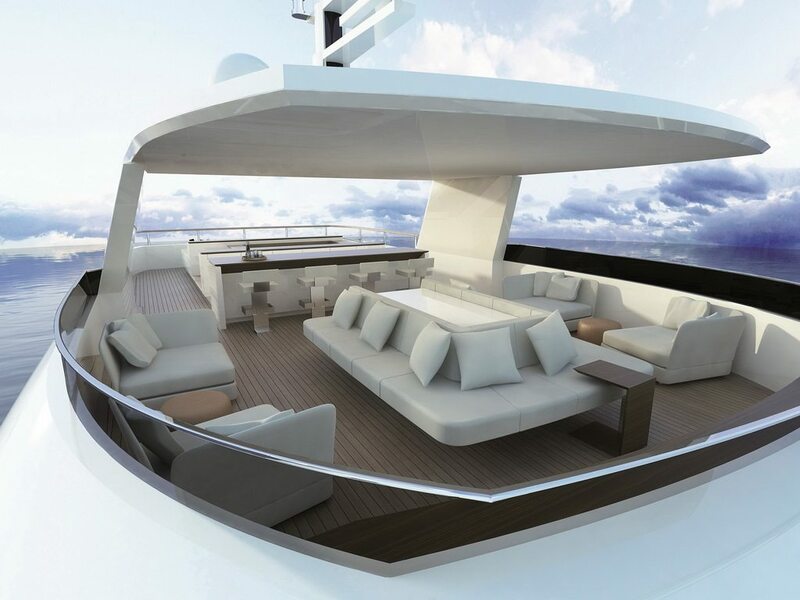 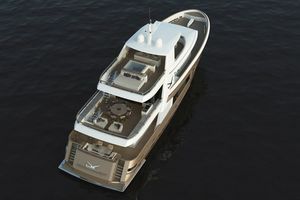 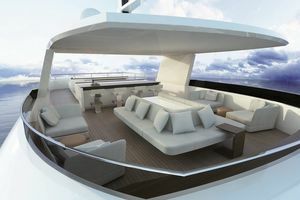 The huge flybridge with different areas leaves nothing to be desired. 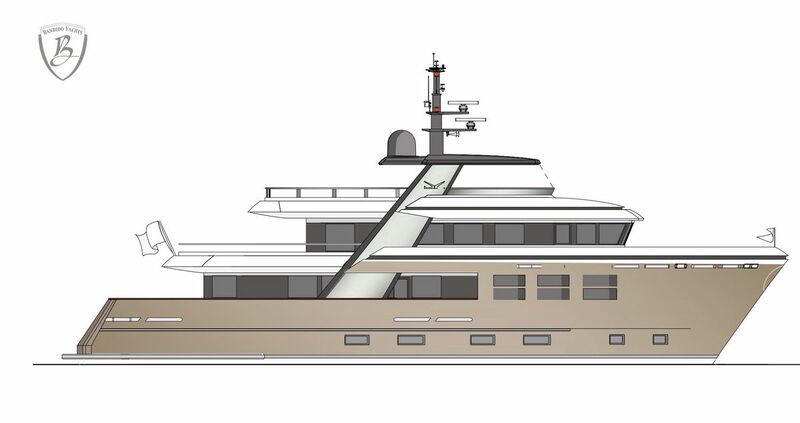 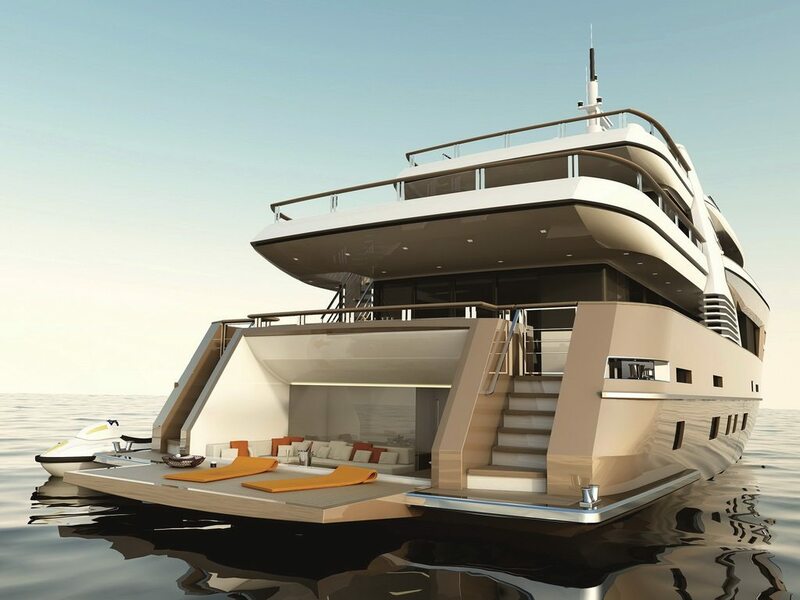 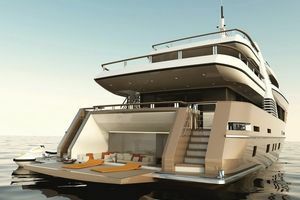 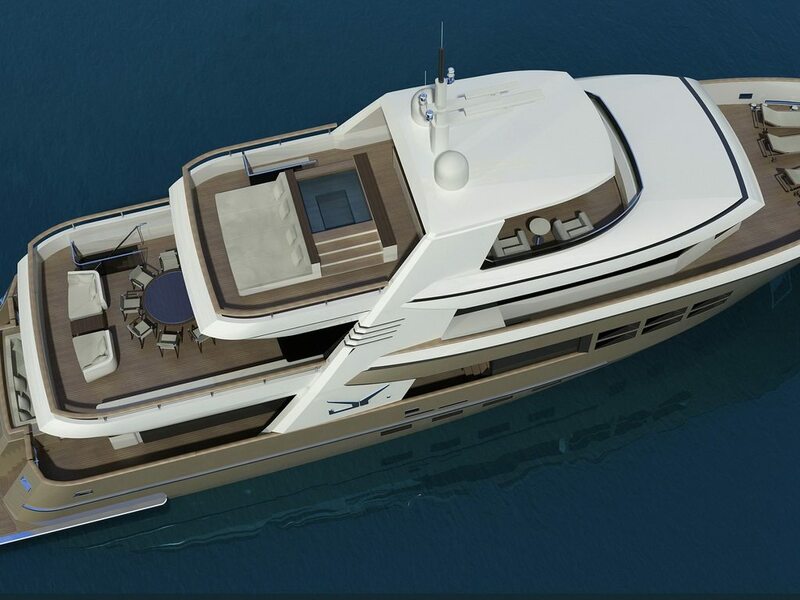 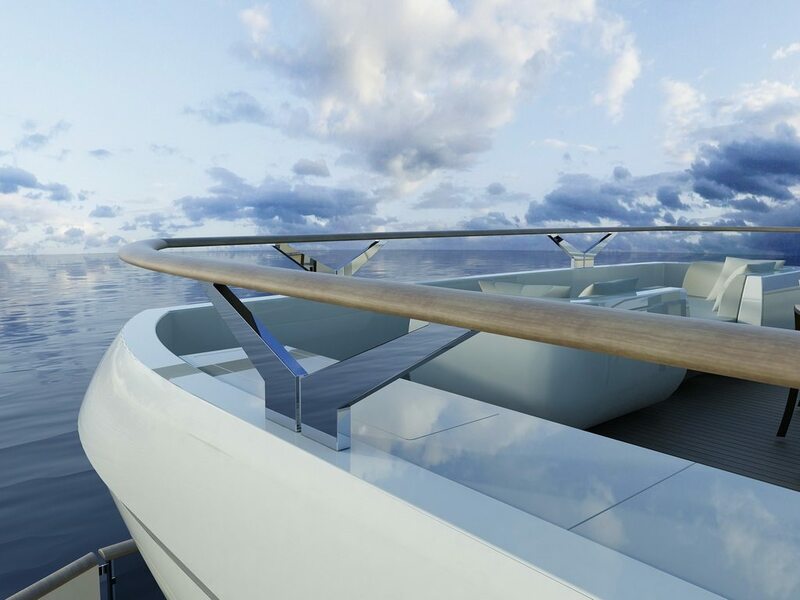 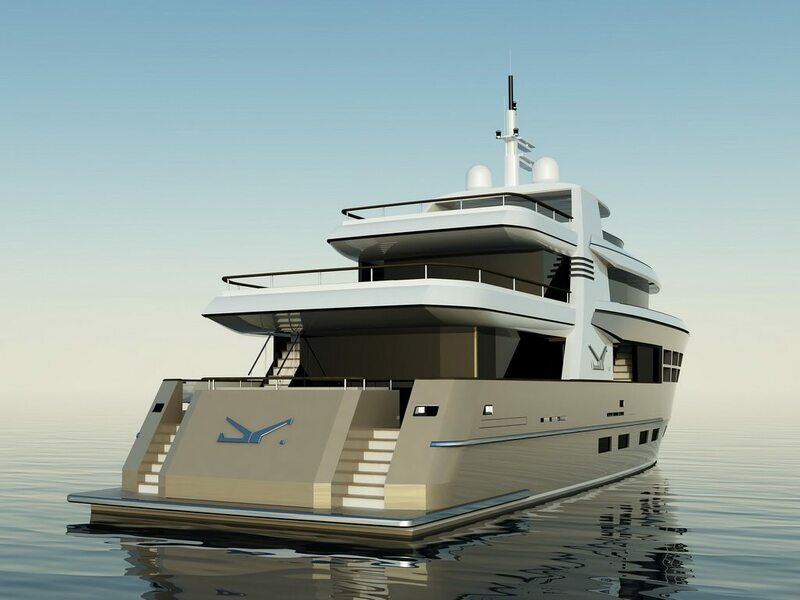 The stern is fold-out and either houses a huge garage for a large tender and/or a beach club. 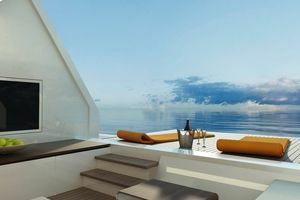 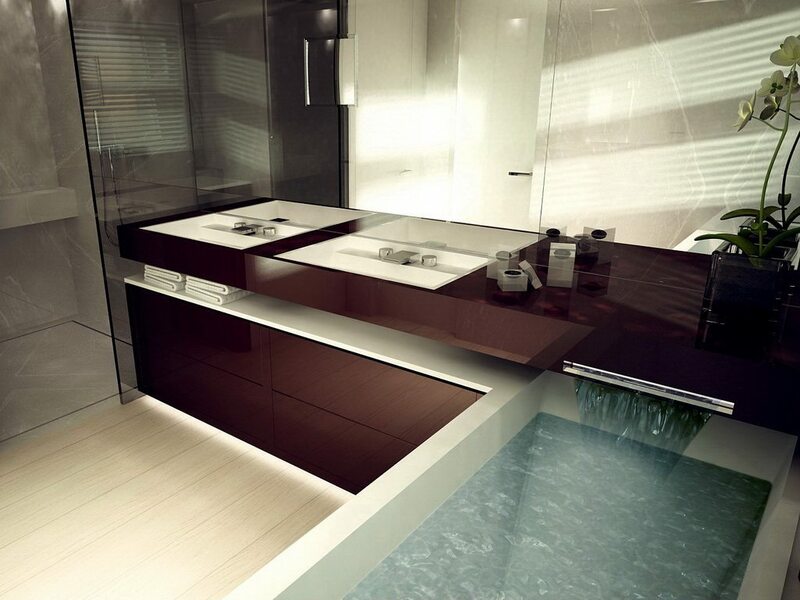 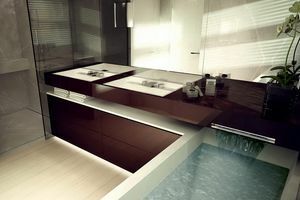 The guest cabins with their own bathrooms are arranged amidships. 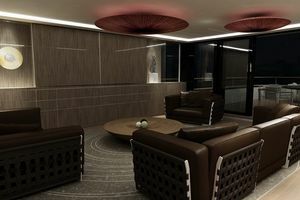 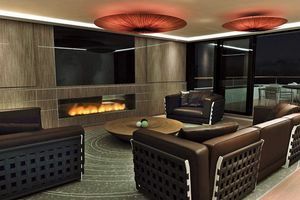 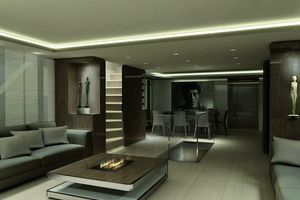 The owner’s area is separate and located on salon level. 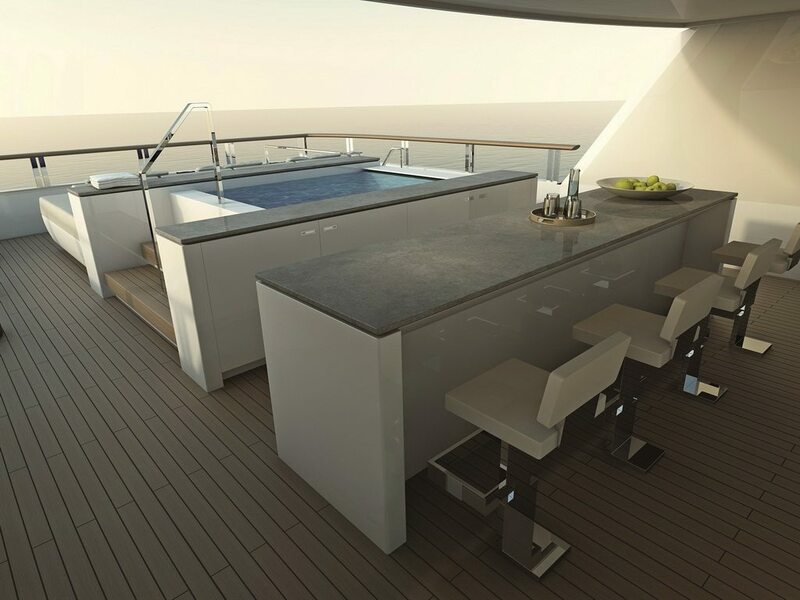 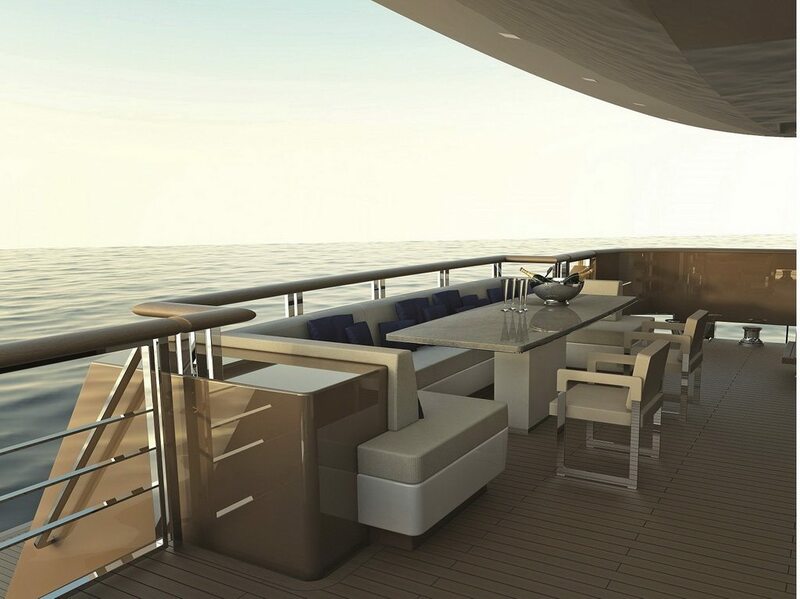 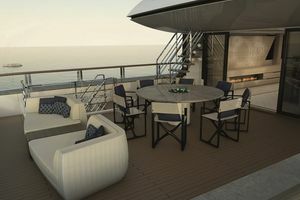 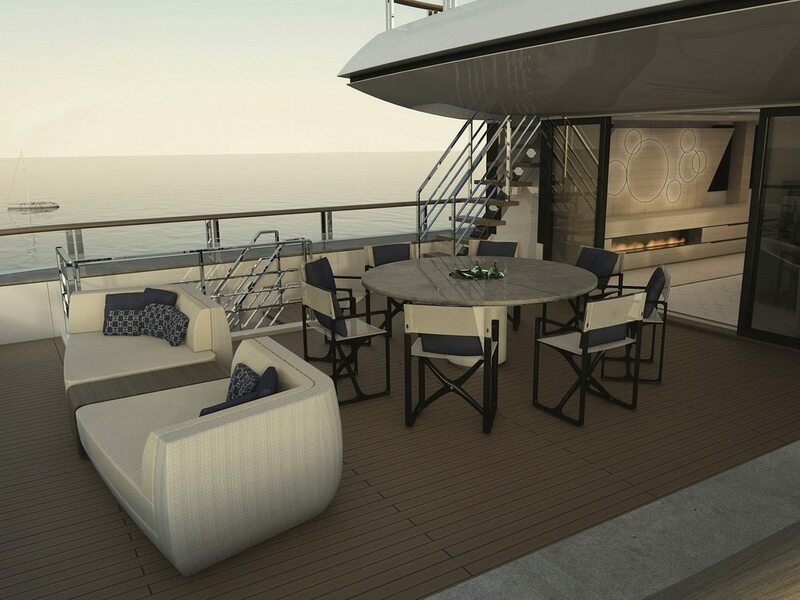 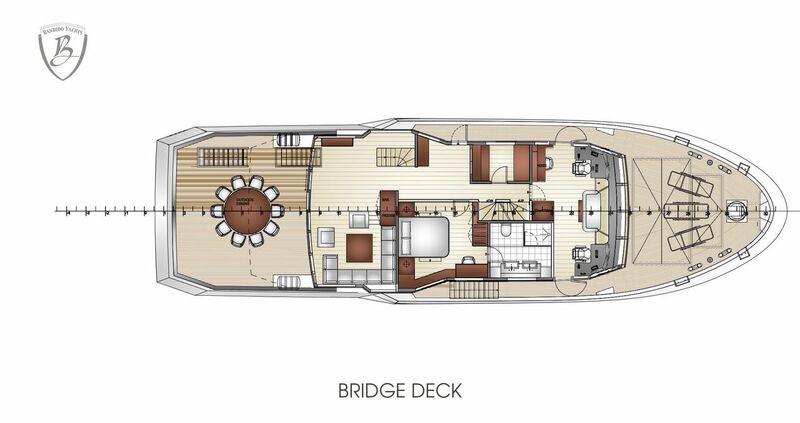 A deck above is the wheelhouse and optionally another owner’s cabin or another deck saloon. 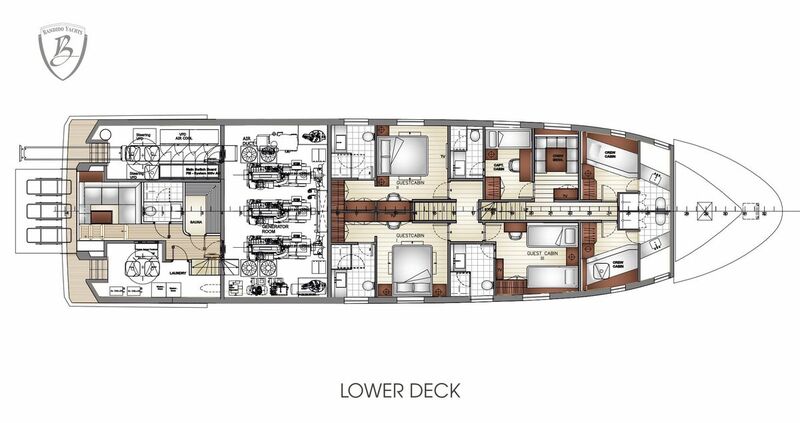 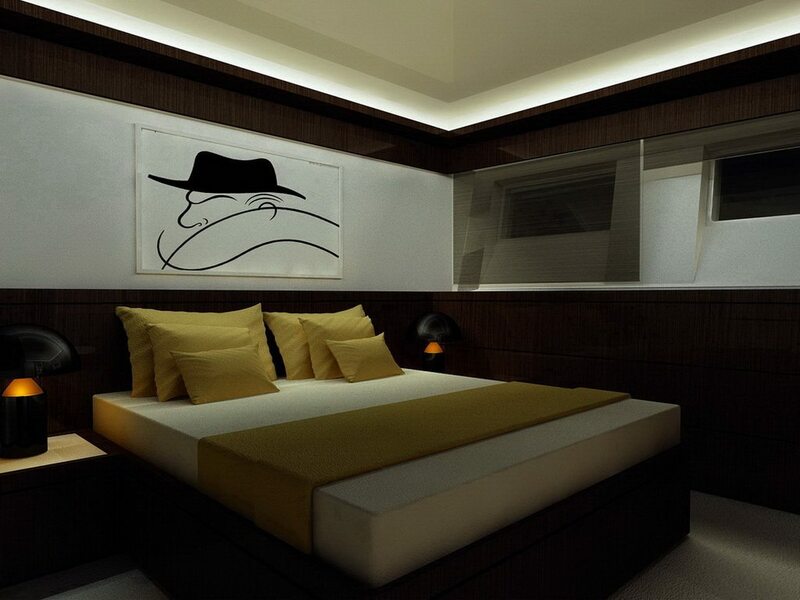 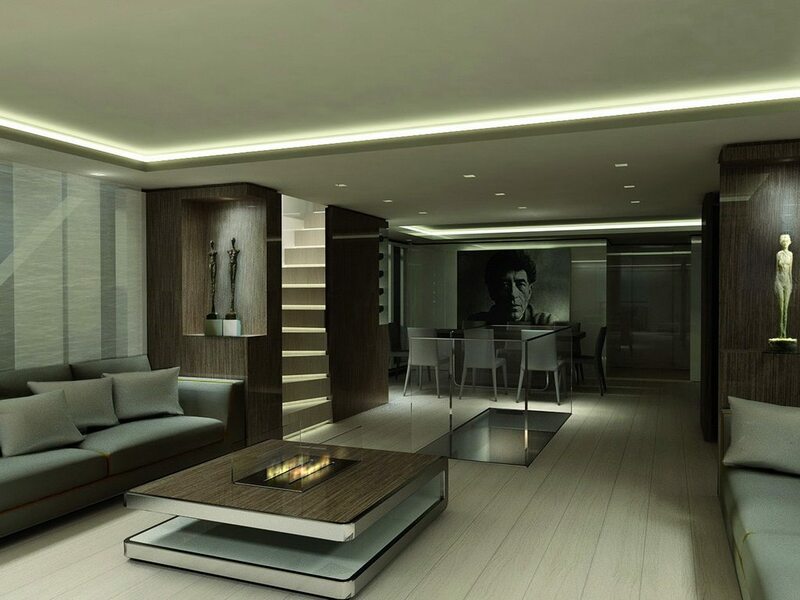 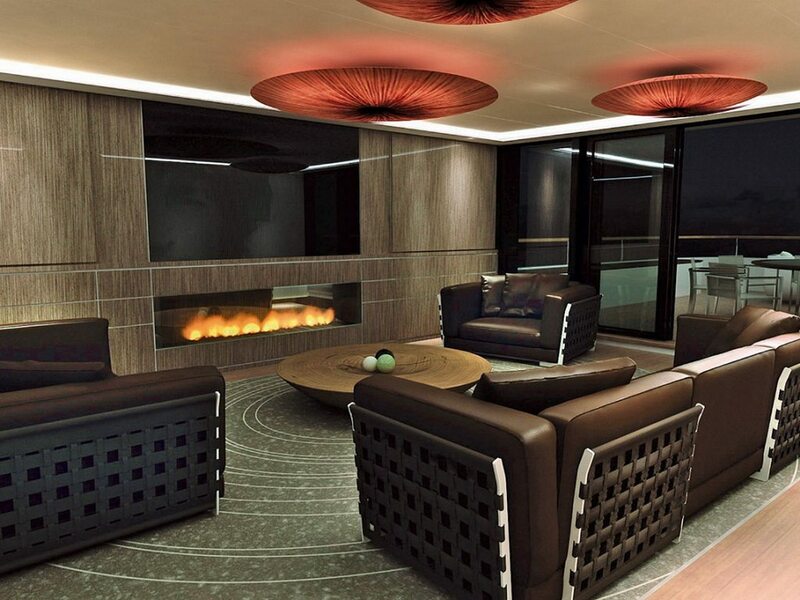 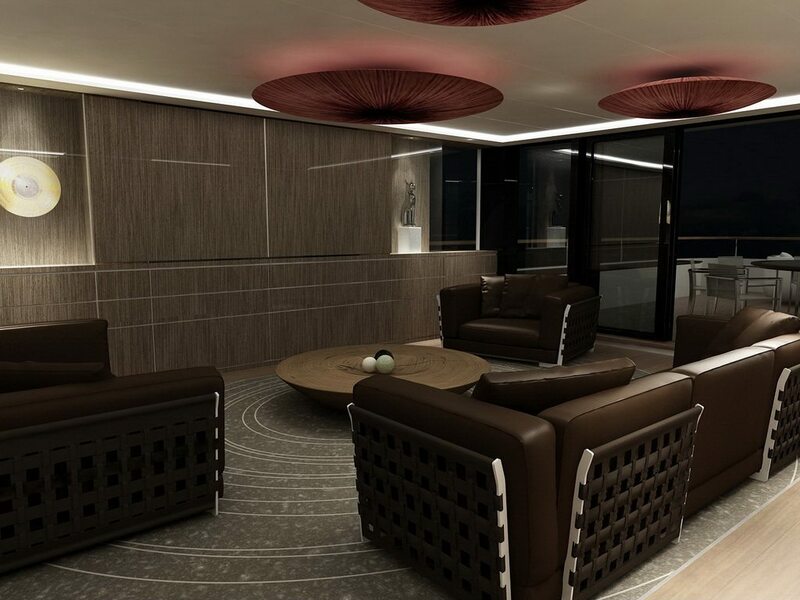 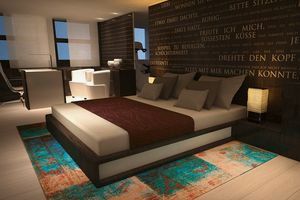 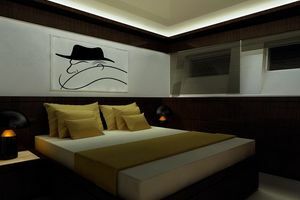 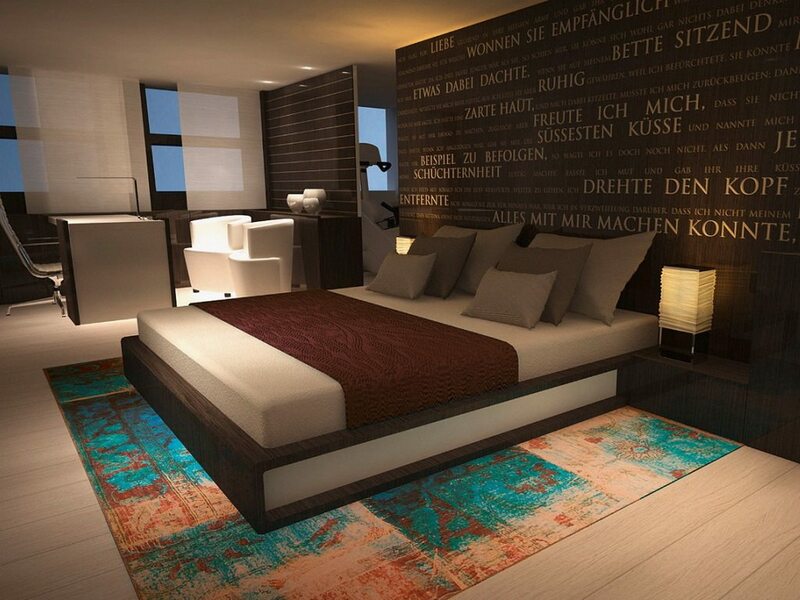 A completely separate crew area with all amenities for a satisfied crew is also on board.